Sam Ray Mosley and Robert Augusta Johnson led one of the most enduring Mississippi R & B revues, and even after Johnson’s sad demise, Sam has kept the flame alive, still playing and singing southern soul and blues right up to the present day. Mosley started into the music business aged only ten in a family group called the Starlighters. This became Jamie Mosley and the Dynamics, and during his teens Sam started playing the guitar. After a spell in the army Sam returned to his New Albany, MS home and hooked up with an old school friend and musician Bob Johnson. The two stayed together till Johnson passed away in August 1998. They called their band Bobby Johnson & The Messengers at first and cut some tracks at John Mihelic’s studio in Tupelo, MS but I’m not aware that anything was ever released. Their first released sides came about when they were spotted playing in a Memphis club and went to Hi to cut a session. 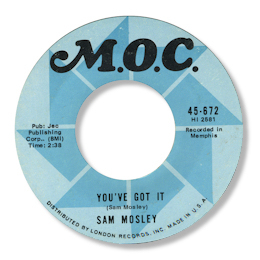 The first 45 came out on the MOC subsidiary credited to Sam Mosley and “You’ve Got It” is a funky little number, the second, rather mysteriously was credited to David Duke, but whatever the reasons Is It Over is deep Hi soul at it’s very best. I’d say it was Sam singing lead but you can hear Bob on the fine harmonies – together they sound like a down home Sam & Dave. And although the version by the great Otis Clay (Cotillion 44101) is excellent I’ll stick with this cut I think. 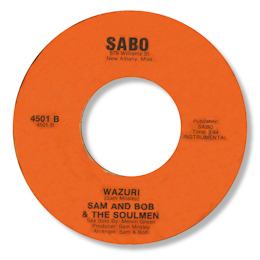 In 1971 the duo released their first album entitled “Sam And Bob & The Soulmen” on their own Sabo label. This legendary set was cut in Memphis and is a very fine view of the group’s live act from the time, as it featured Doris Badie on a few cuts, mostly written by her, as well as a couple of instrumentals which show off the band’s playing to good effect. But the vocal cuts are my favourites particularly Bob’s well wrought “Give It To Me Baby”, the bluesy Love Me Or Leave Me and the infectious duet with Doris “Never Let You Go”. The only 45 on Sabo included the title track from the album and another instrumental – it is now a rare collectors item - as indeed is the LP. 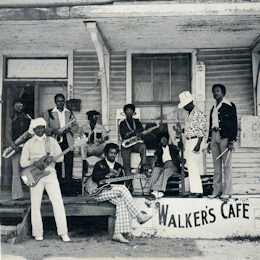 By the mid 70s the group changed their name to Mojoba (MOsely JOhnson BAnd) and had a couple of 45s released on Polydor via the Memphis based Soultastic Productions. 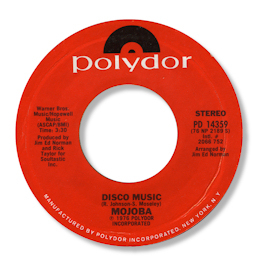 The first was “Disco Music” which despite the forbidding title was a gentle mid paced soul ballad, with such strong harmony vocals that it could accurately be described as a soul group record. The second single was recorded at a split session with Doris Badie and both I Know and “Say You Will” were in the same easy swaying groove – and both featured the guys as a double act. And you can hear Doris behind them on the former cut. Mojoba tracks need better recognition as superior southern soul. 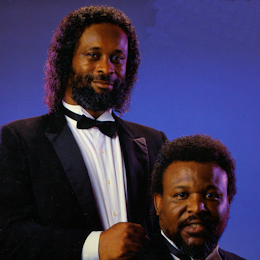 In the 80s Sam & Bob joined Malaco as staff writers, penning tracks for all their major artists, Bland, Denise LaSalle, Johnnie Taylor and so on. My favourite track from this period is the hauntingly memorable blues ballad I’m At The End Of My Rainbow recorded by Little Milton. The guys also had releases of their own via the Jackson, MS company. All of the sets had some superb tracks on them such as the ultra deep Just Because You’re Mine from "Premium", the lively “Saving Up” from their eponymous set and the desperate “Send My Baby Back” from "Juke Joint". This third CD was released after Johnson had passed away but many of the songs had been written, and possibly even recorded, before then. Since then Sam Mosley has continued to run the band, often with some of Johnson’s relatives, and has recently released his latest CD on Sabo entitled “The Whole World Has Still Got The Blues”. It’s very much the mixture as before – plenty of southern soul and R & B – and it should be bought by anybody professing an interest in the sort of music I write about here. When the Malaco family visited London many years ago I had the great pleasure of meeting Mosley & Johnson and very nice guys they were too. I was able to thank them for their wonderful music – a sentiment I can repeat here. 1. You can read more about Mosley & Johnson - and buy their music - on their website here. 2. 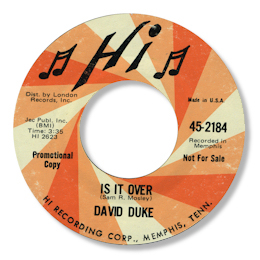 You can find "Is It Over" on the excellent Hi "primer" CD box set "The Royal Memphis Sound".